Background: David Fallon is an experienced videographer primarily in the sports industry. He wanted to expand his services to Wedding Videography and needed a new brand to differentiate between his other business; Fallon Media. 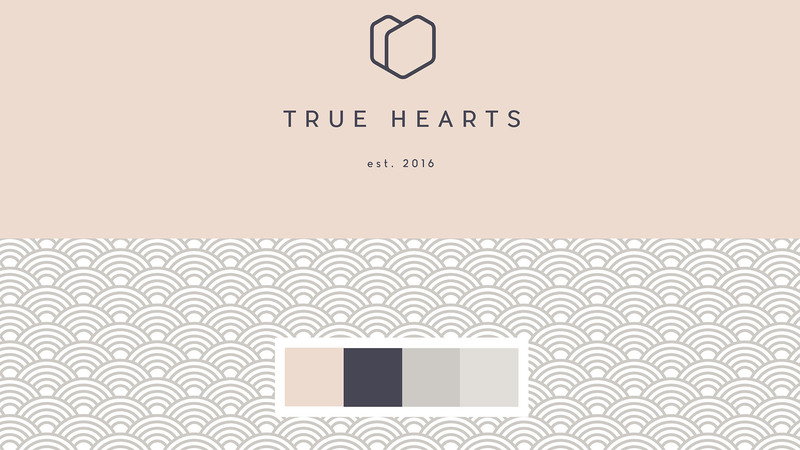 True Hearts is aimed at brides with medium to high budgets. The brand needed to be romantic but not overly feminine. Synopsis: The customer base is mostly brides and they needed to relate to the True Heart brand and feel that David understood what looked professional and appealing when it came to creating their wedding video. 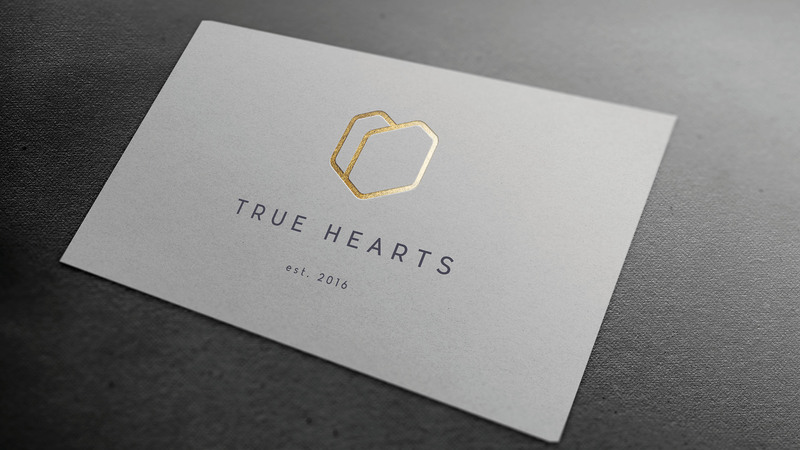 Pixelpod were asked to create an a clear and elegant brand for True Hearts. – Creativity & Originality: The final ID is a heart from a hexagonal lens aperture and the idea of a heart to capture a sophisticated, subtle branding with a colour palette to match. 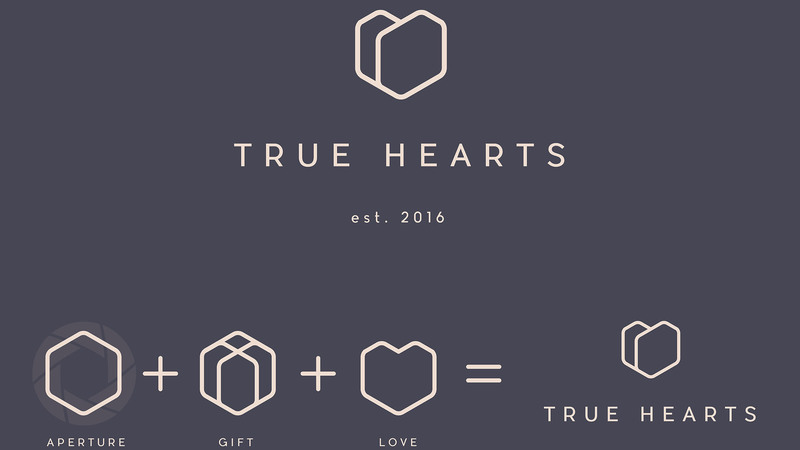 The line ‘Established in 2016’ gives a sense of time, and honesty that True Hearts is a new business with old world charm. We used soft pinks and dusty navy throughout the material which supports our aim of having a romantic but not overly feminine brand. We used a lace like shell pattern as a secondary element. This works well overlayed on blocks of colour to divide sections, and ehance the elegant side of the brand. **Finish** The business card is on a durable 4 layer card. The presentation is a one colour print on an oatmeal linen material. Both of these elements feel good to the touch and echo the highend work that True Hearts aims to produce.